In a fast moving world, businesses need to keep up with data analysis and pattern spotting to identify future opportunities. Anne Lise Kjaer presents a unique methodology for global trend spotting along with practical tools and approaches to help companies and organizations analyse market changes and determine the way ahead. 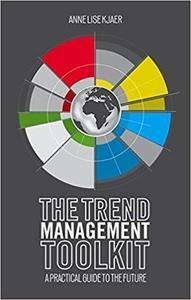 The toolkit includes features such as 'How to create your own Trend Atlas' and 'How to Use Trends in Action', alongside case studies and profiles of previous research projects for major organizations. She encourages readers to become market leaders rather than followers, by developing a 'future-orientated mindset' to interpret contradictive influences and identify trends as they emerge.